STAMFORD, Connecticut (WABC) -- Police said a naked woman broke into a Connecticut church and went on a rampage with a fire extinguisher, destroying items inside Wednesday. Stamford police said witnesses flagged down an officer after seeing a naked woman smash the side window and enter St. Clements Church on Fairfield Avenue at about 5 p.m. The officer looked inside and saw the woman, later identified as 32-year-old Celina Kelly, going on a tirade with a fire extinguisher. A priest, who lives in a section of the church, confronted Kelly in the basement as she was kicking in a door to his living quarters. The priest was able to escape during the ordeal, and he opened the door to the chapel so officers could get inside. Police arrested Kelly without incident. 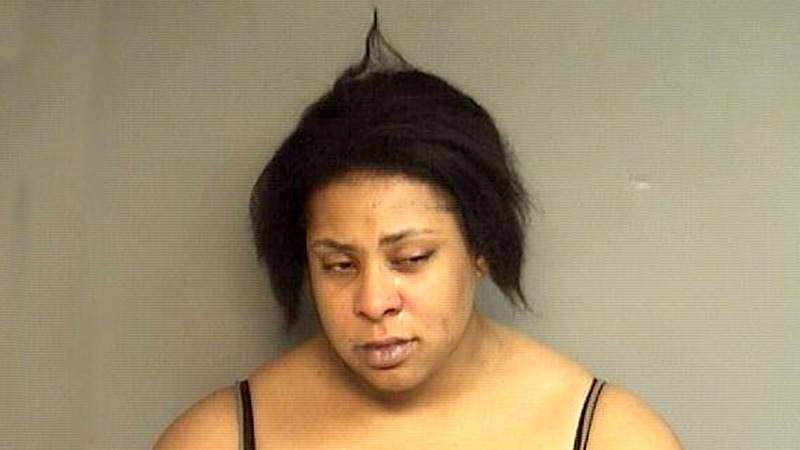 "She was obviously under the influence of some type of narcotic and admitted to smoking marijuana laced with a chemical shortly before going on her rampage," Stamford police said in a news release. Kelly was taken to the hospital for treatment. She's facing charges of burglary and criminal mischief. Her bond was set at $20,000. The Stamford Police Department credits its programmed patrols, a program that has officers stop at all places of worship across the city.